Chirp or Leave us her First Name? Look Who Just Hatched! 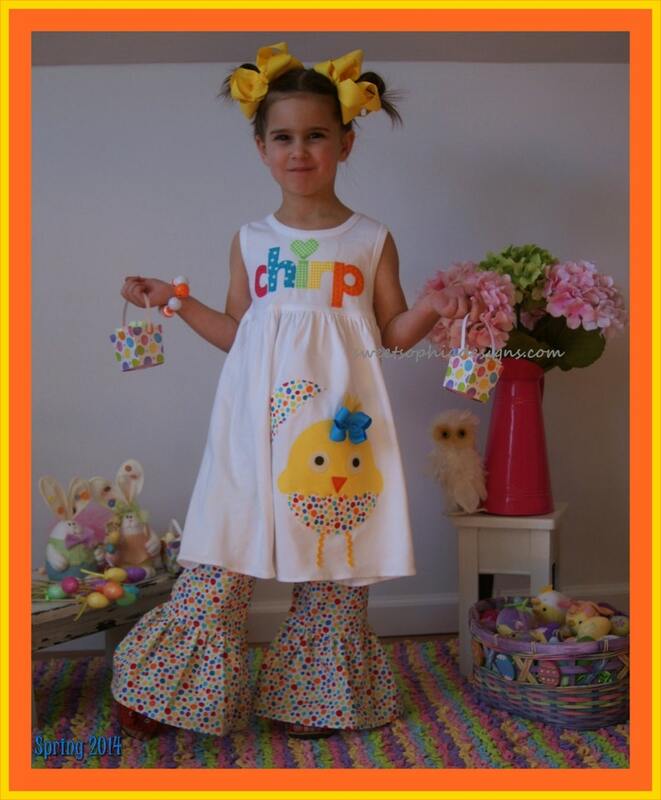 Adorable Girls cotton lap dress adorned so sweetly for Easter Celebrations. Custom sized 3M - 8. Sorry, but the ruffle pant fabric is no longer available. ➡➡➡➡You are welcome to personalize or as shown with "Chirp"
Adorable bought two different ones and love them. Great quality and absolutely adorable!